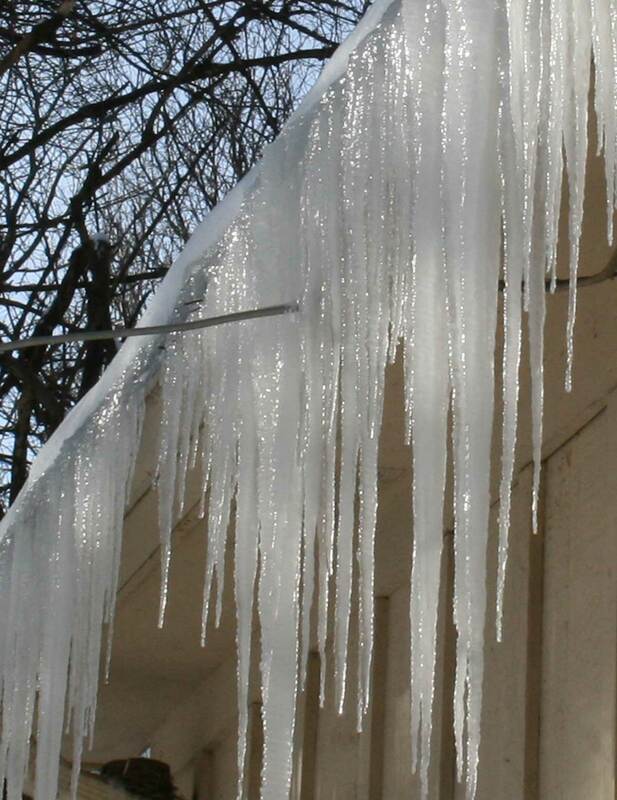 Ice Curtains hide an empty nest as the glacier on my roof recedes. Yes, my attic is a sieve. They put blown in insulation down, but over the years it’s settled and just makes the house dusty as hell. I need to get up in the attic one of these years and insulate it right like I did for several places in Alaska.